iaingrahamsite – Author of worst-selling novel 'Terminus Road' (see page 2) a paranoiac panorama of Brighton, homelessness, alcoholism & recovery. Also poetry & photos, photos, photos. I am gay & single (kind of). 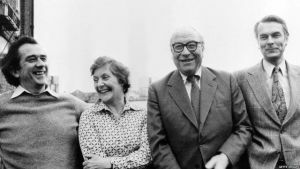 On Monday 26th January 1981 the ‘gang of four’ Roy Jenkins, David Owen, Bill Rodgers and Shirley Williams, then all current or ex- senior Labour MPs made the Limehouse Declaration and formed the Council for Social Democracy.